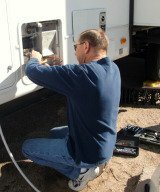 RV Parks: Why Are They So Popular with Full Time RVers? More and more people, particularly senior citizens who are retired, are taking to the roads and traveling and living in their RVs. A lot of people are into full time RVing, and for these people, there are places just for you, where you can get to know other RVers and enjoy your new lifestyle. These places are known as RV parks, and you will find that the country is just littered with them, so you are never at a loss for a place to stay. There are all kinds of reasons why people like to stay in RV parks. For those who live in their RVs, it is kind of nice to have a place to call home, even if it is just for a few months out of the year. They always know that they have a familiar place to go back to. Other people like the fact that these places are made for larger RVs, so there are usually no problems getting in and out or parking. When you are staying in RV parks, especially if you decide to live in one, you are more than likely going to make a lot of new friends, and some of these friendships are going to last for many years. These people are going to be your neighbors, and you may even end up doing a lot of traveling together in RV caravans, which is becoming more and more popular with full time RVers, and even seasonal RVers who like to get out and meet new people while they are vacationing. 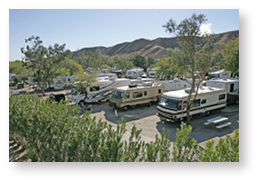 You can have pretty much whatever lifestyle you like when you are living in RV parks. If you like to live the posh life, you are in luck, because there are more and more exclusive RV parks opening up all over the country all the time. You can enjoy tennis, water sports, fine dining and more, all while staying in your RV. Or if you like to rough it, there are all kinds of RV parks that only offer the barest of essentials, which is also a great way to save money. You can also stay at campgrounds, which usually have sites reserved just for RVs. No matter how you like to live, you can do it in an RV.